﻿ How to treat stye on the lower eyelid? Types and prevention. 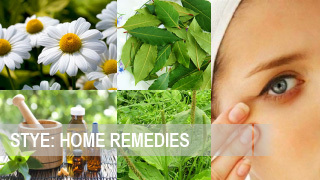 Home » How to treat stye on the lower eyelid? 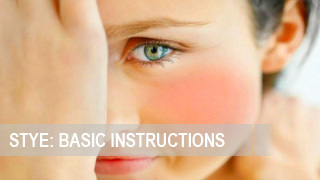 Stye occurs on the lower eyelid due to inflammation centered in the base on the lower lashes, or in meibomian gland. 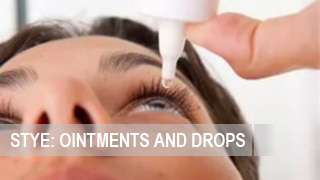 Often, this disease is a chronic disease of the eye, and is exacerbated in the autumn or spring season. In most cases, the peak of the disease takes place in adolescence years, and it disappears forever in adulthood. 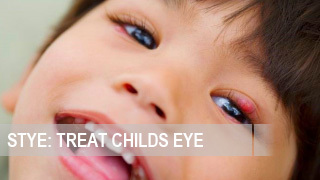 However, stye on the lower eyelids may appear in adulthood sporadically. In this case, the disease is accompanied by acute inflammation of the sebaceous glands and hair follicles on the lower lashes. 1. 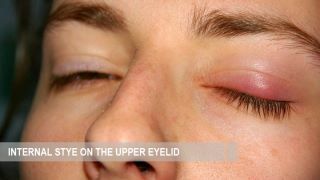 The external stye iis centered on the outer surface of the eyelid. It lies at the base on the lower lashes. The disease begins with swelling and redness of the skin area. This spot is painful enough for palpation, and is of tightly-elastic consistency. After a few days, a purulent site with a yellow head appears in the center of the swelling spot. In the next 3-4 days stye on the lower eyelid bursts, and the purulent comes out. Thereafter, the healing process takes place, which finally ends in about 1 week. 2. 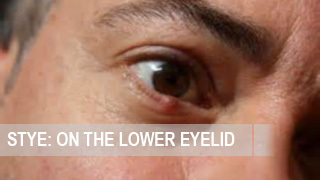 Internal stye is localized within the lower eyelid and can be seen through the conjunctiva. If internal stye on the lower eyelid, pictures of which can be seen here, is located near the inner canthus, it is necessary to differentiate it from acute dacryocystitis. If the tear duct is functioning well, the latter is excluded. 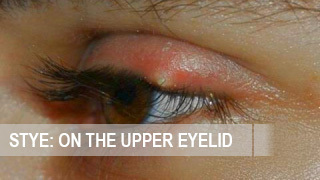 Stye on the lower eyelid happens rarer than one of the upper eyelid. Most often, it bursts on it’s own without surgery or dissection, however, occasionally becomes a little tight formation called a cold barley. 1. 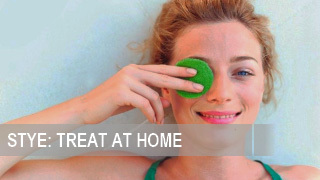 At the first stage, anti-inflammatory antibacterial treatment, as well as UHF therapy of the eyelid are good. 2. At the stage of the formation of an abscess and the abscess dissection, antibacterial treatment is recommended. In severe cases, surgery may be needed in order to accelerate the removal of purulence from the capsule. 3. 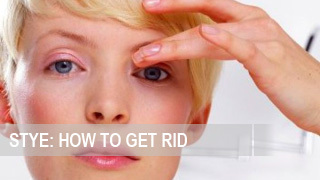 At the stage of healing of the wound on the lower eyelid, it is assigned to process it with antiseptics. It will help to reduce the risk of re-festering. Proper nutrition is necessary. The daily diet should definitely include raw fruits and vegetables, dairy products, herbal teas and mineral water.